Univision reporter Lorraine Cáceres remembers experiencing sexual harassment by colleagues and sources at the start of her career. 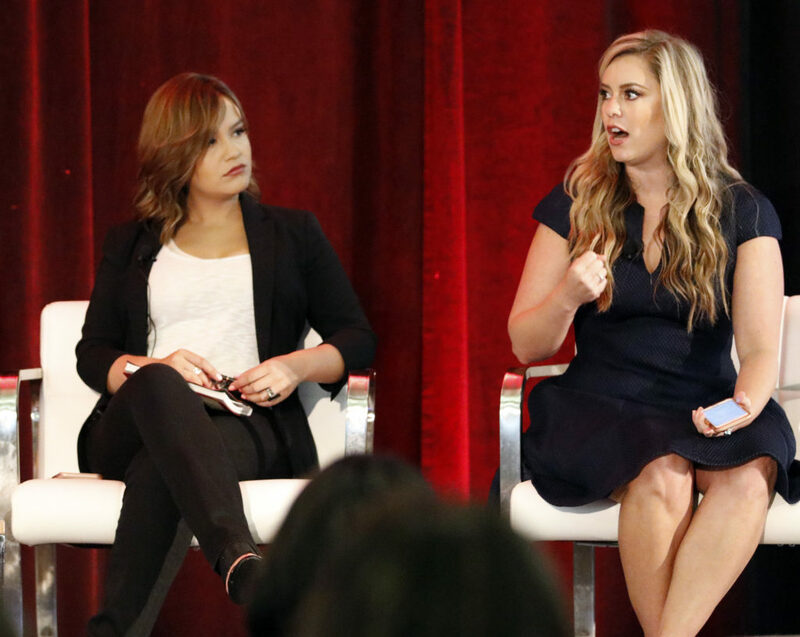 Cáceres was among several women who spoke at one of two workshops that addressed the #MeToo movement during this year’s conference of the National Association of Hispanic Journalists. The movement gained national attention after allegations against Hollywood producer Harvey Weinstein surfaced in 2017. This NAHJ conference is the first to take place since the news broke. In the past year, there have been multiple allegations made against several renowned journalists, including MSNBC’s Mark Halperin, NPR’s Michael Oreskes and NBC’s Matt Lauer. During Friday’s #MeToo in Your Newsroom workshop, Cáceres was among several women who said they experienced sexual harassment early in their journalistic careers, from colleagues or men in positions of power in their newsrooms. At another event Saturday, Kristie Gonzales – president and general manager of KVUE News in Austin – said she believes that companies already have policies in place against sexual harassment, but those tactics protect companies, not employees. Lynn Marie Franco, a journalist with CNN in Atlanta, attended the panel and said that having these conversations is necessary in all industries. “Getting more women in management is important and building alliances with the men that are on our side,” Franco said. Robert Hernandez, track leader for this year’s conference, said that the two sessions were organized independent from each other. The goal for Friday’s workshop was to create an intimate discussion, while Saturday’s panel was meant to draw a larger audience. Ana Addobbati, a journalist and founder of Women Friendly – a startup that serves companies that want to fight sexual harassment – said that there are a lot of stereotypes that Latina women face. “We have to struggle (with) this objectification of us that says that we are always open to be touched, to be grabbed,” Addobbati said. Addobati said that journalists and people in general should talk about the issue of sexual harassment in the workplace and in society in order to overcome it.